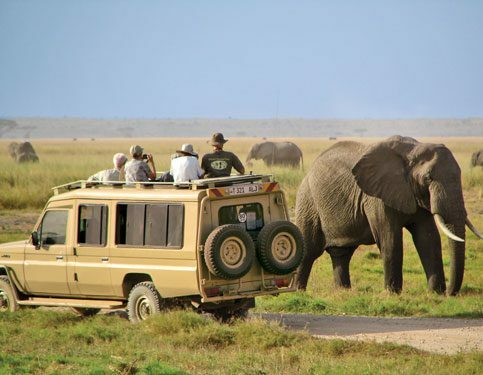 Penfam pick you from your Nairobi hotel at 8:00am or at JKI Airport upon arrival early morning,safari briefing and depart for Lake Nakuru National Park a 3 hours drive arrive in time for lunch and check in at Sarova Lion Hill /Sopa Lodge. Afternoon game drive within the shores of the Pink Lake often referred so due to it’s great masses of Flamingos but currently due to climate change and high water level only few flamingos, the famous White and Black Rhino main attraction can be spotted easily along the shores of the lake.Return to the Sarova Lion Hill/Sopa Lodge for dinner and over night. Early morning game drive game followed by breakfast at the Sarova Lion Hill lodge, Checkout and depart for Lake Naivasha enroute lunch, Proceed to arrive Nairobi late afternoon, drop at your hotel or airport. Prices based on Per Person in a group of 2 sharing in a double/twin. Request for individual traveler or groups. Pick up/drop off at the airport/Nairobi hotel. Safari in a private pop up customized Safari Land cruiser 4×4. Meals on fullboard :Breakfast, Lunch and Dinner. All Government taxes and hotel levies.